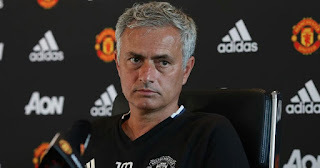 The Red Devils have faced criticism on the back of two uninspiring performances on the road, with a 1-0 victory over Benfica in the Champions League following a drab 0-0 draw with LiverpoolMourinho has once again faced accusations of “parking the bus”, with the Portuguese considered to be too conservative in his approach to big games. Schmeichel, though, believes that United have improved over the last 12 months and are now operating in an era where the need to avoid defeat often outweighs the desire to push for a win. talkSPORT : “I’m not making excuses [for United’s last two displays], but I understand and as a fan I accept it for that one game. “You’ve just come back from the international break and it’s Liverpool away - the one game you don’t want to lose all season - it’s a 12:30 kick off and then you’ve got Benfica midweek, so you’ve got more travelling to do. “You want to win the game, or at least try not to lose the game and unfortunately that is the way football is going - when you get to these important games, you don’t want to lose. “But I have to say in the same token that I’m very, very pleased with Jose Mourinho’s personal development, I think he’s been brilliant. “He always said, ‘I will get it right with Manchester United and I will make the fans happy’, but between the lines he has always said, ‘but I don’t have the players’. “So when he got the players we have played some really entertaining and effective stuff and have scored a lot of goals. United will be heading back out on the road on Saturday when they travel to Premier League new boys Huddersfield.